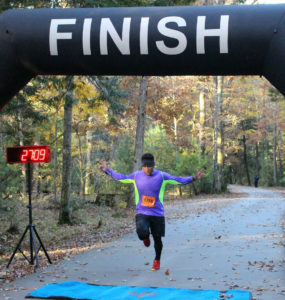 Thank you to all the runners who joined us for last year’s Cades Cove Loop Lope. 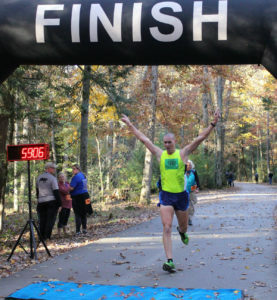 We hope you will join us for the 2019 Cades Cove Loop Lope on Sunday, November 3rd, 2019! Registration will open in July on RunSignup.com. 3.1-mile (5k) and 10-mile loop routes are available. Visit the Registration and Race Details page for more information and stay tuned for updates. Congratulations to our 2018 5k overall winners: Salvador Duran, Kevin McDonnell, and Jackson Kelley; and our 2018 10-mile overall winners: Zack Jordan, Jeremey Steeves, and Jim Hall. We also appreciate the generous support of our amazing sponsors who made the 2018 race possible: 21st Mortgage, Gentry Griffey, Dollywood, Knoxville Track Club, Denso, Fleet Feet Sports Knoxville, Turner Homes, PCS, Home Federal Bank, Shafer Insurance Agency, and Little River Trading Co. Sing up below to receive email updates on the Cades Cove Loop Lope so you don’t miss any important race details!